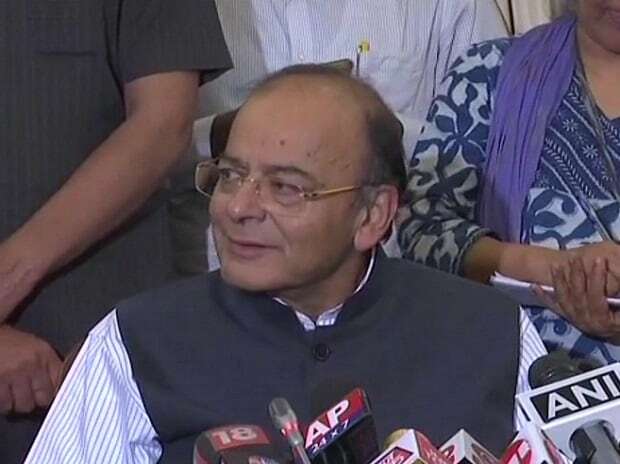 India is likely to surpass the UK to become the world's fifth largest economy next year on growing consumption and strong economic activity, Finance Minister Arun Jaitley said on Thursday. "This year, in terms of size, we have overtaken France. Next year we are likely to overtake Britain. Therefore, we will be the fifth largest (economy)," he said while inaugurating the office building of the Competition Commission India (CCI). India's gross domestic product (GDP) was valued at $ 2.597 trillion at the end of 2017 overtaking French economy, which was amounted at $ 2.582 trillion last year. However, in terms of per capita GDP, India still lags far behind France, which is nearly 20 times bigger in comparison. This is because of the huge size of India's population, which is estimated to be around 1.34 billion as against 67 million of France. The UK economy stood at $ 2.94 trillion at the end of 2017. India recorded a growth of 6.7 per cent in FY'18 and expected to accelerate to 7.4 per cent in the current financial year on pick up in industrial activity and good monsoon. "We grow at 7-8 per cent on an average. So for us to overtake them...you are unquestionably going to be as the world projections are amongst big three in size (by 2030-40)," he said. The growth would be driven by expanding economic activities, he said, adding that "over the next 10-20 years we still have lot of avenues for pushing our growth. For instance, growth is more in the North, the South and western part of the country... Eastern side has still to grow faster. That's an area we will see growth." With growth in economy, Jaitley said, the function of CCI, the country's fair trade regulator, is going to expand and the institution should keep evolving itself with new challenges. "Over the next 10-20 years with economic activity expanding, your (CCI) role is going to expand and therefore both the bar and experts who man this institution will be required to be trained professionals rather than who are unable to fully diagnose the situation," he said. India can already see the ripples of a consumption economy in India, he said, adding that the exponential growth taking place in several sectors will lead to a large number of domestic and international players. He further said that the size of the economy is going to expand and some will not comply with fair market regulation, indulge in cartelisation, have vertical or horizontal tie-ups, abuse dominant position to impact prices or dilute competition. "Therefore, the regulatory mechanism to regulate all the Mergers & Acquisitions would be required. These changes to be extremely large and the impact on markets is going to be very large," he said.